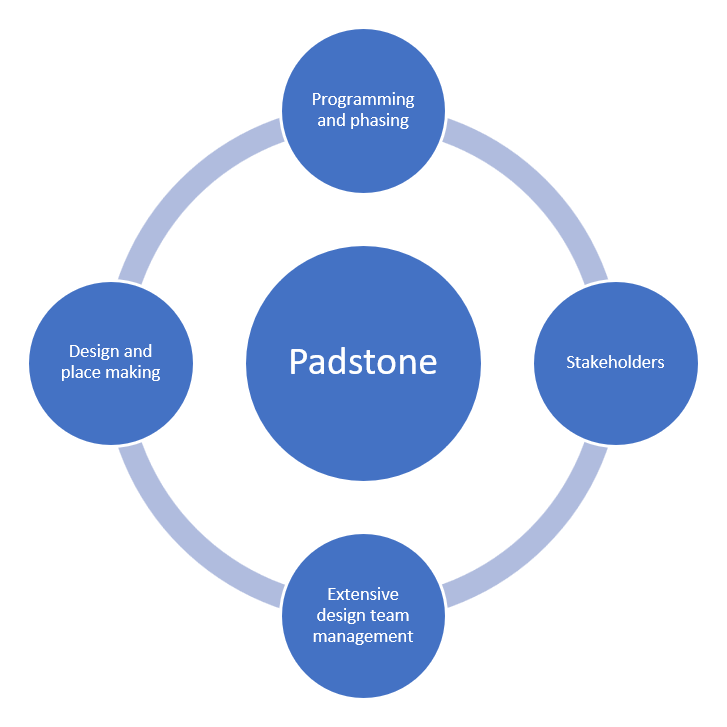 Engaging Padstone Consulting in the project feasibility enables our diverse team to bring a wealth of knowledge and experience to mixed use developments, having worked alongside some of the leading development organisations in the UK. We are experiencing a commonality in language of a number of our clients with increased openness to finding ways to deliver faster whilst still delivering a quality end product. We are here to provide advice on design, procurement and delivery strategies to clients with differing appetites for holding risk and differing project drivers. We work with clients with short term investment needs where assets are held within portfolios for a few years and then traded on, through to clients with 20+ year investment cycles. Their respective needs may be different but the basic project requirements are consistent – on time, on budget and no surprises. We understand the complex requirements of regeneration and mixed use projects and are skilled in bringing together multiple stakeholders, managing long term projects and the changing needs of clients and end users and co-ordinating large design teams through planning, design and delivery.